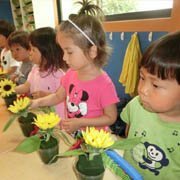 Preschool in Japan is an educational establishment or learning space offering early childhood education. 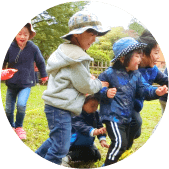 Pan International Academie Denenchofu is an independent school, we provides original way of teaching. 1. 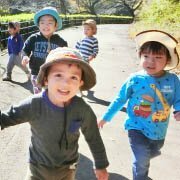 Our school is one of the best outing school in Japan. We go to 50 different places annually, especially preschool students. 2. 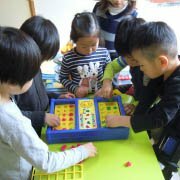 Mixed-Age Class: It is a class that we mixed them all together from 1 years old to older kids, for them to develop their social skills. 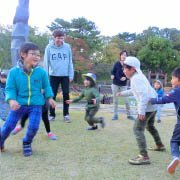 It is like Netherlands style, students from 1 year old up to 20 years old. What is Phonics? Please check on what is phonics page? We train our students to help themselves: From year old and 5 months they could change their pee diaper, they could put their own clothes, socks, hat and shoes. Even outside time our students are trained to carry their own backpack and be responsible for it. Phonics: It is a method of teaching reading and writing of the English language by developing learners’ phonemic awareness – the ability to hear and identify. We teach them to read by letter. For example: (dog) “du–oh-gu” we teach them repeatedly read and little by little the students think that it is a “dog”. Our students reads phonetically. Instead of saying the (dog) is “di-oh-gi” this teaching, the students are not reading, they are memorizing. Also it is the fastest way to understand English.